when looking for a construction manager/contractor is how long they have been in business. East Harding Construction has been building long-term client relationships in Arkansas since our founding in 1974. Like our fellow Arkansans, we are hard-working, honest and accountable. We are mid-sized by design and operate efficiently and with a low overhead that will result in maximum value to you. should be their track record. What types of work have they done in the past? East Harding Construction has experience in K-12, Higher Educations, Commercial Office Buildings & Tenant Finish, Medical, Restaurants, Historic Renovation, Non-Profit, Private Client Group & Light Industrial Projects. Our guiding business philosophy of “Client Focused Construction” has made it possible for us to be the Construction Manager of Record for the Dollarway School District (since 2007) and the Watson Chapel School District (since 2013). We are the Construction Manager for the Camden-Fairview School District (since 2014), the Fordyce School District (since 2015), and the McCrory School District (since 2015). We have always met our budgets and schedules for public education projects. with complex, fast-track and historic renovations of all types, with particular expertise in University Housing at the University of Arkansas-Fayetteville and at Arkansas State University-Jonesboro. East Harding Construction has worked with the Diocese of Little Rock for over 30-years on multiple projects ranging from the House of Formation to the renovation of historic St. John’s Morris Hall and from the renovation of the historic Cathedral of St. Andrew to the recently completed renovation of St. John’s Fletcher Hall. As a result, we have an outstanding working relationship with Jim Driedric, Diocesan Property Services Manager, which is based on honesty and mutual respect. as the Construction Manager for the new 34,000 SF Pine Bluff Main Library. We will also manage the renovation and addition to the Watson Chapel Public Library in 2019, and we are the Construction Manager for the future renovation of the historic Hotel Pines. is what clients are saying about them. East Harding Construction takes great pride in our work and we have earned a reputation for delivering high quality workmanship. 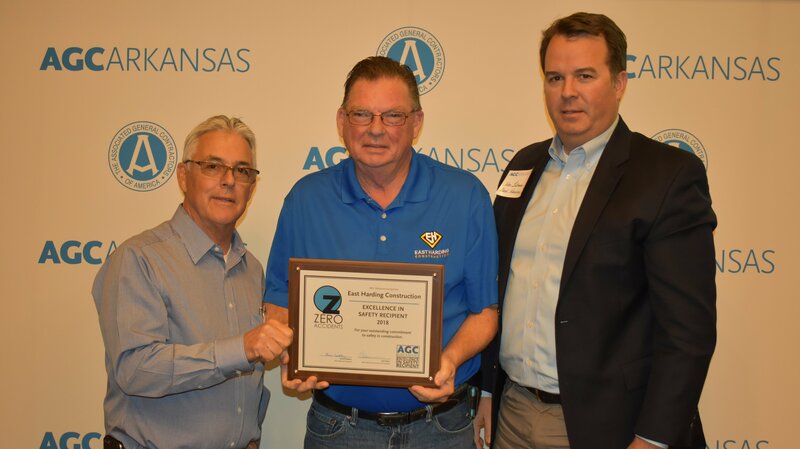 East Harding Construction has had zero recordable accidents in the last 6 years and was recently recognized at the Associated General Contractors of Arkansas with its “Excellence in Safety Award.” We have a full time Health & Safety Director who will help our Site Superintendent develop a safety plan for each specific project we construct.